Mary Nayiga, 26, from Mukono Nabuti did her Bachelor in Development Studies. 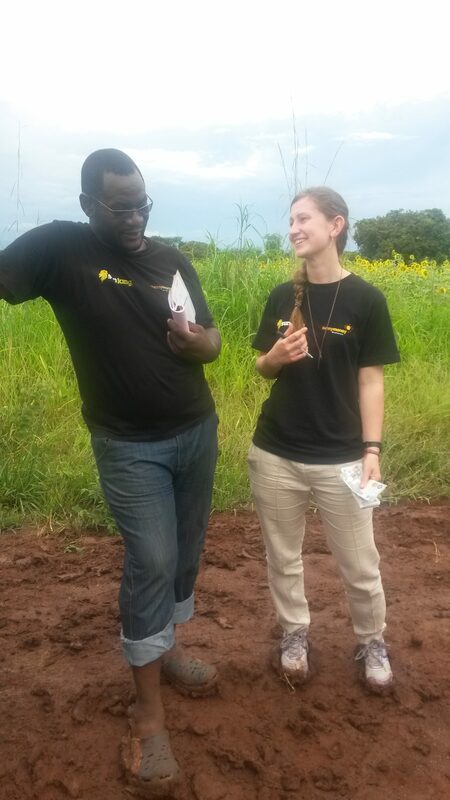 Before her Challenges Worldwide ICS placement, supporting Ugandan businesses, she was unemployed. “I had worked on some contracts but I had no previous experience of volunteering. I wanted to discover what it’s like to volunteer and to work alongside volunteers from the UK,” she shared. 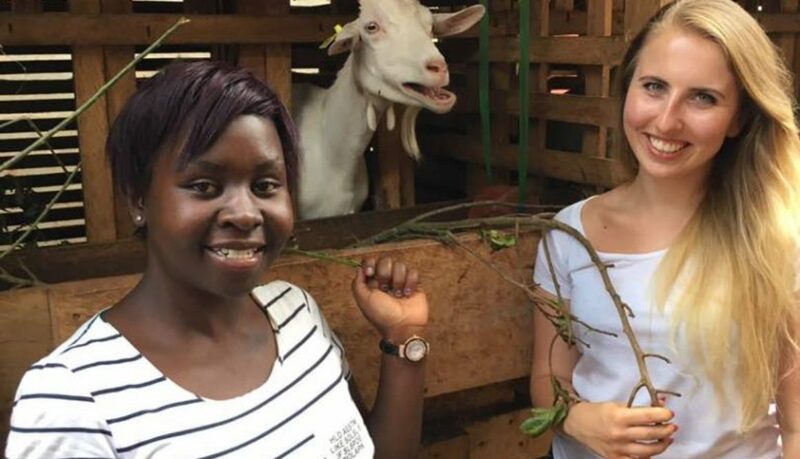 During her placement, she worked with Mashambani Dairy Goats Farm, an enterprise that has been producing milk and yoghurt with locally sourced goats since 2016. Mary, together with her counterpart, did an evaluation of the organisation and made, as well as implemented, recommendations. “The business needed support with organisational structure. The CEO does everything so she needed support to look at operations management. As a new business, marketing was a big focus of our consultation intervention,” Mary said. She said that many people have never heard about goat milk or they do not know about their benefits. That is why part of her job was to talk with an identified targeted market and raise awareness about the product. 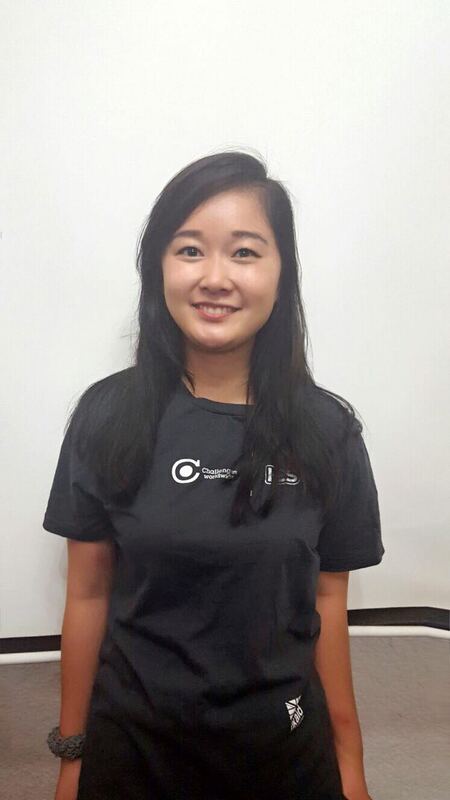 “My proudest moment during my placement was my first presentation. At first, I was very scared and I was feeling nervous as I have watched the previous volunteers deliver their presentations with confidence. However, I delivered my presentation to the business development team and I received positive feedback and comments. This was really encouraging and has helped improve my confidence in future public speaking opportunities,” Mary said. If you would like to receive updates about how we are supporting Ugandan businesses, sign up to our mailing list. We know the statistics – worldwide more than 1 billion young people will enter the job market between now and 2030, 600 million jobs are needed globally over 15 years to keep current employment rate, 71 million young people are unemployed globally, the youth population in Africa will double to over 830 million by 2050, 75% of young people in developing countries are in irregular or informal employment. Even among young people who are lucky enough to receive an education and go to university, there is no guarantee of a job at the end. 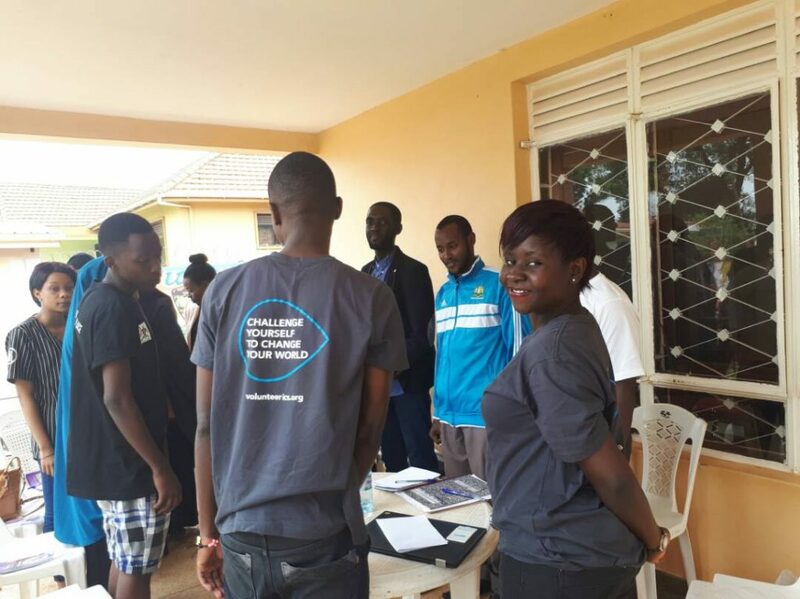 In Uganda, 40,000 young people graduate university every year, with only 8,000 securing employment. Part of the issue is a lack of jobs available, the other is the skills gap between what employers want and what graduates have. With the job market as it is, there is little surprise that many people turn to starting a business – with 285-345 million informal enterprises in emerging economies. And, whilst starting a business can be a solution for many young people, most remain purely as livelihood businesses – remaining in the informal sector and struggling to move to a position where they lift their owner out of poverty, let alone create jobs for others. So instead of focusing on starting a new business, why not look at the existing ones? There are 25-30 million SMEs in emerging economies, contributing up to 45% of total employment and 33% percent of GDP. If each SME gave an opportunity to two young people then youth unemployment would be virtually eradicated. If each SME gave an opportunity to two young people then youth unemployment would be virtually eradicated. However growing SMEs is not without its challenges, with failure rates high, access to finance difficult and leadership skills lacking. SMEs need more skilled employees who can raise the game in terms of management and leadership, financial accounting, and use of technology. These skills can help bridge the gap needed to access finance, and create more stable organisations – in turn helping them to grow and employ more people. But which comes first? SMEs can’t grow without the right people working for them, and the right people can’t get the jobs unless they grow. At Challenges Worldwide we’ve looked at how we can solve these problems together. 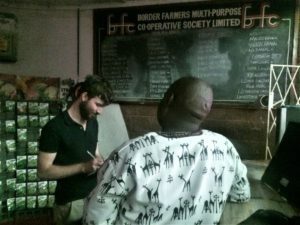 Our ICS programmes place young people in an African SME for 12 weeks, pairing a UK volunteer aged 18-25 with a national from Ghana, Rwanda, Zambia or Uganda to work as Business Support Associates. 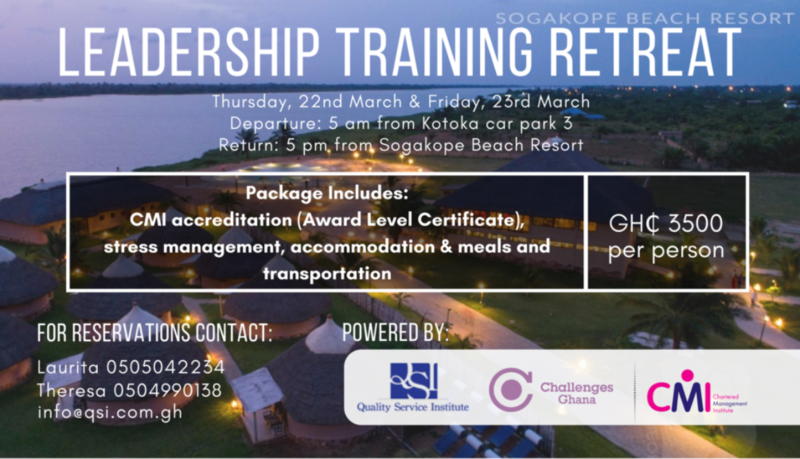 We provide training in Professional Consulting and Management and Leadership that is accredited by the Chartered Management Institute. Through a structured programme these young people identify the needs of the SME, working to recommend solutions to help them grow. Longer term we utilise the information collected in our software to understand the barriers to growth and help SMEs access the finance they need. We have spent over 15 years providing access to finance, consulting and private sector development services to SME’s in emerging economies. As you probably know, that sector is dominated by professionals with countless years of experience. So when we first started working with 18-25-year-olds we were sceptical. They arrive mostly with no training in consulting, no experience in business, and if they do have a degree it is often in an unrelated subject. Honestly, we wondered what young people could achieve. But after working with over 700 young people providing 132,000 days of onsite support to 300 enterprises – the results have been overwhelmingly positive. Our Business Support Associates have enabled us to identify the key barriers to growth for these enterprises – through learning about enterprises from within and getting their hands dirty they’ve discovered as much, if not more than many more experienced consultants we’ve worked with. Our young people have demonstrated that they can learn the right skills – in a week; that they can apply these quickly and create lasting change for themselves and the SME’s – in 12 weeks; and that these SMEs can grow – and in many cases employ them. Each SME we work with has seen that the skills of two young people for 12 weeks is hugely valuable, and each placement has demonstrated that real-life experience in an enterprise provides more of the skills young people need to be successful in their career than months of classroom learning. Young people can start to create the jobs which will employ them. We’re 0.001% of the way there. How do we connect the other 29,999,700 SMEs and 70,999,300 young people? 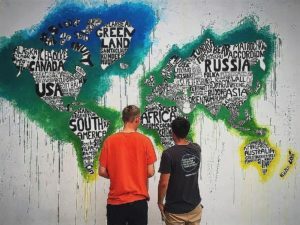 Challenges Worldwide work to provide innovative solutions that engage, grow and connect people to emerging opportunities for development and investment. We support young people through structured work-based placements, support enterprises to grow organisational capacity and deliver a range of consulting services enabling growth connections in trade and finance. Solar Energy for Africa’s headquarters and flagship store in central Kampala couldn’t feel further away from the glassy skyscrapers in the City of London. A lone bulb casts a dingy light over the office exposing an array of fading advertising material and a battered wooden counter. Set back from the traffic crawling down Bombo road, the space is quiet save for the whirring of a rusty electric fan and a news program blaring from an antique TV in the corner. Roughly equitable to ‘on time’ plus 30 minutes to an hour. This is likely to cause immense frustration to newly arrived volunteers. Having set an early alarm and left extra time to allow for any disruptions during the rush hour commute, to be left waiting for hours on end for a meeting to start can easily make blood boil. As soon as you take a look outside, the tardiness isn’t surprising. The infamous ‘Kampala Jam’ can disrupt even the city’s most punctual without warning. A journey that often takes 20 minutes can be transformed into a sweaty 2-hour ordeal, cramped in the back of a fully packed taxi. If the heavens open, flooded streets cause maximum disruption. This combined with large scale road improvements, erratic driving and police traffic controls is a recipe for a timekeeping disaster. Yet the attitude towards lateness is more interesting to consider. Whereas in the UK it feels that every second of the working day must be converted into maximum productivity, in Uganda work is a little more laid back. This is not to say tasks aren’t completed eventually, they just get done when the time is right and deadlines become a little more flexible. With European stress and anxiety levels at an all time high, a more relaxed working culture is perhaps something we should aspire to. Even when sat in front of the managing director, a slight pocket vibration (or in some cases a more embarrassing Rihanna ringtone) is a perfectly good excuse to pause even the most important meeting. With everyone active on Whatsapp, phones are likely to be on display and messages sent mid conversation. Mobile credit, known as ‘airtime’ is a highly prized commodity. Having to use it up to return a call is most undesirable. Meetings, however, small or insignificant, must start with a prayer. This may be a few quick words followed by a mumbled ‘Amen’ or a lengthier affair in which blessings are granted for all participants, the future of every stakeholder in the firm… the list could go on. In some firms with employees of different faiths, this procedure can be repeated to ensure all attendants are satisfied. Although this might appear a timely process, the sense of harmony and togetherness that pervades the room afterward can often make the meeting more effective. If prayers are ever not said, a backup is usually provided in the form of a Bible quote or religious teaching hung on the wall. It’s important to sit down to work with inspirational material readily available. Expecting a superfast Wifi connection and a shiny kitchen space kitted with a machine offering 50 varieties of flavourless coffee? Forget it. With power cuts a regular occurrence, work can be halted without warning for hours at a time. If you’re lucky, the office may be backed up by a generator or even better solar power but don’t hold your breath. You can usually expect a ‘water dispenser’ (cooler might be an exaggeration) and a kettle but on the whole, furnishings are kept to a bare minimum. A bustling office canteen or coffee shop is out of the question. The Ugandans can do better – warm lunch delivered straight to your desk. Orders are placed with the chosen ‘restaurant’ half an hour in advance and before long a steaming bowl of matoke and rice accompanied by a meat or vegetarian sauce of your choice is delivered directly to your workstation. The food may not always be piping hot but for less UGX 4000 (about £1) what could be better valued? The break can be a lengthy two-hour affair; giving you more than enough time to discuss yesterday’s Premier League results and enjoy the meal at your leisure. The only drawback: a rather slow afternoon whilst you digest the carbohydrate overload. On a mission to provide solar power to rural Zambians, I find myself sat on a 7 (yes 7) hour bus journey from the town of Chipata in Eastern Province back to the capital, and the scenery around me is just breathtaking. The landscape is lush and green, covered in trees with small mountains that rise and fall along the horizon. At odds of course with my original stereotypical imagery of deserts or savannah filled with Zebras. 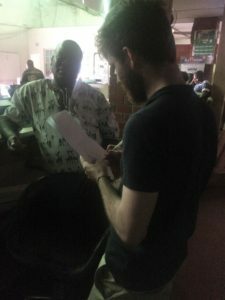 It is such a privilege to have had the opportunity to my work here with Sunnymoney through Challenges Worldwide, to take this trip out into the countryside and get to take a peek at what Zambia is really like for the majority of its residents. To see the people whose lives we are trying to change for the better. 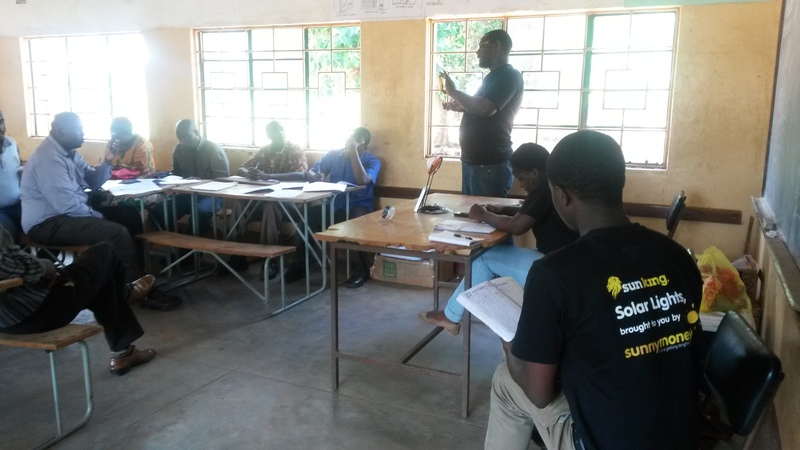 We travelled out here to start our Schools Programme where we engage the headteachers of rural schools and ask them to share information about solar energy and encourage their students and community members to purchase our solar lights. We deliver this programme at great cost to the organisation, selling lights at prices that barely cover the cost of importing them, let alone the cost of the field teams trips. 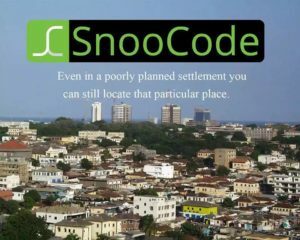 We are in part funded for this by DfID but ultimately Sunnymoney aims to cover the cost themselves. It’s been a fantastic and enlightening experience to travel to some remote areas and witness my colleagues deliver the programme. They have, it seems to me, a hugely challenging task and I have the utmost respect for the work that they do. We drove for long hours each day, getting lost once or twice (I honestly have no idea how anyone ever navigates these areas) which was absolutely exhausting. We even sadly got stuck in the mud one day after it rained! Being rescued by cows was a brilliantly ironic juxtaposition of old transport methods being far more useful and successful than modern technology out in the rural areas. Sunnymoney field teams aim to conduct 2 or 3 Headteacher Meetings a day and they aim to deliver a huge amount of information in only about an hour or so. The even greater challenge is that they do not pay headteachers to help them in the programme, to educate and encourage their students and communities. They are only asking. 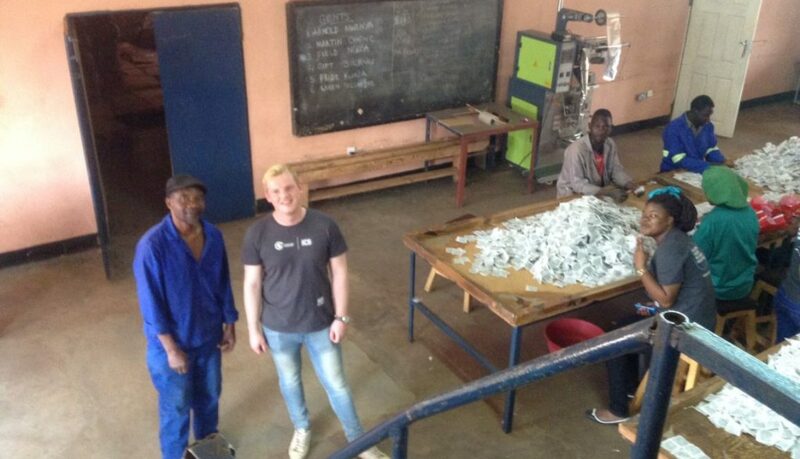 Yes there are small incentives and the Headteachers are always thrilled with their free solar light at the end, but they are asking them to do a lot of work above and beyond their jobs. So within this hour, my colleagues have to figure out how to inspire them, to prove to them that Sunnymoney is here with a social cause that is worth their effort to support. To show that they are there with the intention to improve education by helping students study at night, improve their future prospects and even further, to provide sustainable, affordable lighting for a whole family. Truthfully the responses were mixed. Some were so grateful that we would travel so far to see them and to choose their schools to work with us. It’s so challenging and expensive to reach many of these places, that most firms wouldn’t be able to reach them at an affordable price which is one of the key reasons Sunnymoney conducts this programme and allows them to help communities that truly need it. Others, unfortunately, were suspicious and had little confidence or belief in us. Whilst it’s an innovative and often successful distribution model, it’s flawed in that it’s a challenge to rely so much on individuals to support you when they have no accountability to you. The ethos behind the programme is wonderfully positive with a fantastic social impact. On my part observing the meetings, though, I was saddened to see that Sunnymoney has slightly fallen into the classic old trap of focusing on sales and forgetting why we were there in the first place. The wonderful part of that observation though is because of my position with Challenges Worldwide: I am in a position to help remind them. To use my role as a Business Support Associate and an outside voice, to make these observations where small changes could mean huge improvements. 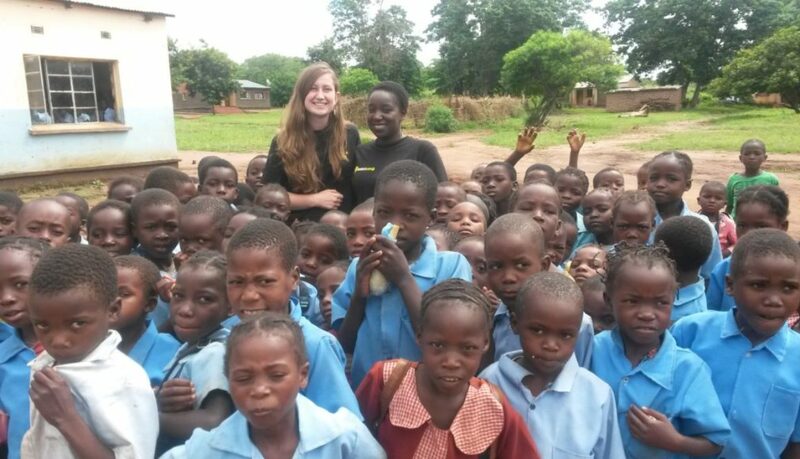 It was incredible for me to drive past the many many villages and to be able to visit these schools. It’s given me such a small but worthwhile peek into little parts of rural life. It’s allowed me to connect more and appreciate more the people Sunnymoney are here to help, the people I am indirectly here to help. 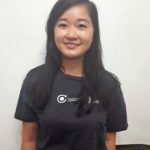 I am convinced that by helping Sunnymoney to become a more successful and efficient business, I am raising their potential to change even more lives. The ICS programme run by Challenges Worldwide is an amazing opportunity to bring in people with a wide variety of experiences and backgrounds to join together in support of worthy cause with so much potential for long-lasting impact. Fighting poverty through business in big or small ways is so much more sustainable than relying purely on donations. Sunnymoney will continue it’s operations long after I’ve returned to the UK, but I know that they have the potential to grow and change so many more lives and I hope my recommendations will help them to do that. The New Year is always a time for reflection. Having now been back in the UK for just under three weeks, this particular New Year has inevitably provided the perfect headspace to reflect on my three months in Ghana and is a good time to think about what the UK can learn from new and rising economies around the world. I joined the Challenges Worldwide International Citizen Service programme because I wanted to broaden my understanding of business, digitalisation and innovation by working in an economy that was very different to the British one I’d spent my whole adult life. So whilst I’m very much still adjusting back to the British way of doing things, I am quite clear on the ways I think the UK can learn from Ghana’s approach to innovation and entrepreneurship. In Ghana, being entrepreneurial is a way of life and not just a fancy term for someone with a big enough bank balance to make her good idea a reality. Graduate schemes, of the type that millennials in the UK have become used to worrying about, don’t feature much in Ghana, where it’s much more commonplace for new graduates to be already working on their own small individual business projects. 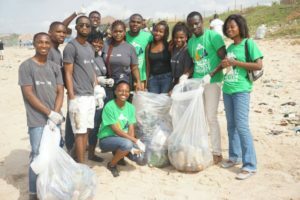 So many people are driven to make a difference to themselves and the economic growth of their country and, more often than not, help to solve one of the issues facing their community too. We in the UK could benefit from the sense of determination and drive that I experienced firsthand on countless occasions whilst in Ghana. 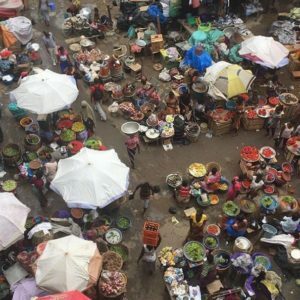 Ghana is a middle-income country and has already succeeded in halving the number of Ghanaians living in poverty in recent years. However, it is undeniable that Ghana has fewer financial resources and less economic buoyancy to rely on than the UK. Not only did I never anyone use this as an excuse for not starting a project they believe in, more often than not it is the very reason they’ve started the project. There’s a real sense of collective drive and ambition to continue the amazing economic growth Ghana has experienced over the course of just two generations. “We’re all in this together” actually means something to the majority of Ghanaians. With a wealth of SMEs within their economy, Ghanaians are never short of local producers to utilise within their supply chains. Cheap international labour is not such a driving force for outsourcing, with most enterprises valuing the speed, efficiency and long-term national benefits of using a local supplier. This approach sure has helped the Ghanaian economy grow at a far faster rate than the British ‘race to the bottom’ approach. Not online reviews that have been written by strangers. People still talk to each other, trust the advice of neighbours, aunties, members of the congregation, and this translates to real sales for SMEs across a huge range of sectors. Whilst digitalisation is occurring at very fast rates across the country, this hasn’t come at the detriment of communities and genuine relationships. Banking doesn’t rely on holes in the wall or PIN numbers to transfer money between contacts in West Africa. No, where more than 60% of the population don’t have a bank account, mobile money has given economic independence to millions of Ghanaians. Mobile money is used for pleasure and business; with a simple instant transaction at one of the thousands of corner shops or street-level enterprises, money can be transferred from mobile credit to cash in hand. It’s a masterclass in adapting technology to meet local demands and proves that context really is key to breaking into any new market. It is commonplace for houses to have a smallholding of home-grown veg or kept animals, not just because it’s a handy extra revenue stream but also because sustainability is empowering! Even in the trickiest of outside spaces, a flexible approach is always found. Our wonderful family I lived with in Kumasi grows amazing mushrooms, keeps a small rabbit farm and has a really smart self-made backup power supply for when the power outages occur. If Britain is going to come anywhere close to meeting our climate change targets, adopting the self-sustaining mantra practised and preached by Ghana would be a good start. 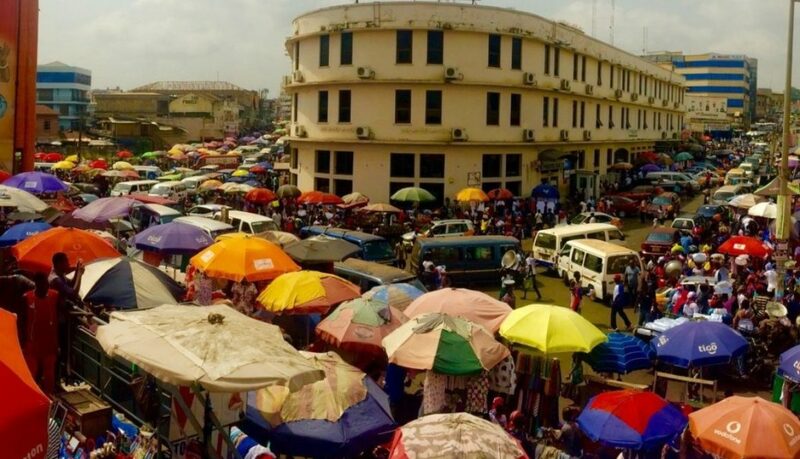 Ghana has been at the forefront of the Economic Community of West African States (ECOWAS) since its creation in 1975 and increasing exports and imports from regional neighbours has been a large part of the government’s strategy over the last decade. Unlike the UK and the attitudes that led to Brexit, Ghana understands that supporting the economic growth and stability of the whole region will pay dividends in the future for Ghanaians as well as boosting the long-term prosperity of citizens of neighbouring states. Having spent the last 7 years in London, moving to a part of Ghana that doesn’t have a huge amount of racial diversity was unsurprisingly a big culture shock for me. It became clear to me quite quickly that racial identity is often a phenomenon cultivated in racially diverse communities and not those with greater homogeneity. I think it was an important experience for me as a white woman to spend a chunk of time being the racial minority, as my racial privilege is something I’ve mostly taken for granted living in the UK. But, with the increasingly divided communities we find ourselves in the UK experiencing, learning from communities where differences are seen as opportunities to learn from one another should certainly be a goal we all work towards for 2017; fascination rather than fear. I feel incredibly proud to have been part of a consultancy project that put cross-cultural exchanges at the heart of its work and many of the contacts I’ve made in Ghana will stay firm friends for a lifetime. There’s a lot we in the UK can learn from this fabulous country and a lot we should be proud to support. 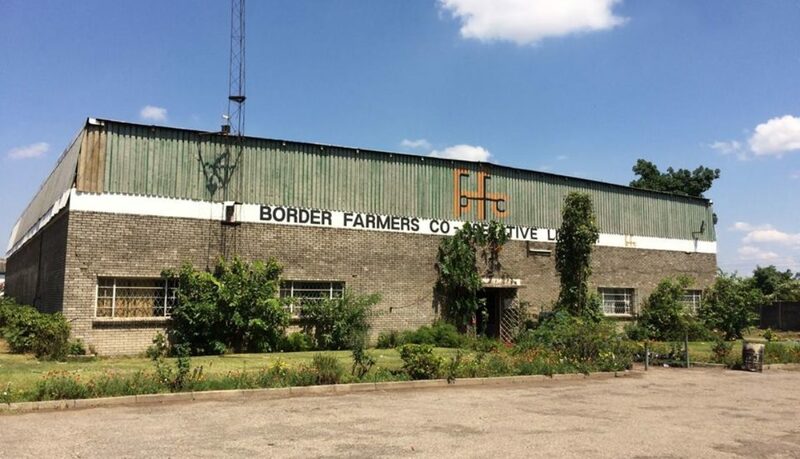 Border Farmer’s Co-operative is home to many dedicated employees, but none quite as enthusiastic as Patson Musukwa, the organisation’s main salesman. 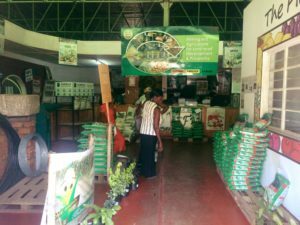 Running since 1980, and located in Kitwe’s industrial area, the cooperative specialises in selling agricultural products and services to farmers across the Copperbelt. As the first point of contact for customers seeking assistance and advice, Patson has a crucial role and I’m interested to hear his take on the business, its products, and the challenges facing the agricultural sector in Zambia. I begin by asking for some basic information about himself. With a beaming smile and a sly giggle, he lists his favourite hobbies as watching football, resting and singing. He’s recently taken up running to lose weight and has even persuaded a few of his colleagues to join him in early-evening jogs after work. “When you feel fit, you’re more likely to be happy,” he adds with a grin. When asked about the Zambian economy, Patson is calm and rational in his response. “We need to remember this is a global issue. The world is facing huge challenges at the moment and Zambia’s not immune to those.” However, he states that the country’s traditional agricultural sector has been hit particularly hard by the downward turn in the economy and this has led to many farmers going bankrupt. We take a break to get a photo and Patson beckons me over to the warehouse gates. Suddenly, he leaps upwards and clasps a metal rail high overhead with both hands. There’s a deafening sound of screeching metal as Patson kicks out his legs and attempts to lift his full body weight upwards. “I’m getting better at pull-ups,” he chuckles to me below. Astonished, I can only nod. We quickly resume and I ask him for his opinion on the state of the co-operative. He admits that the slump in the economy has greatly affected business with declining sales and a drop off in customer numbers. Yet he’s cautiously optimistic about the future of Border Farmer’s, predicting that the current situation is only temporary and that sales will soon improve. After discussing the weak condition of the agricultural sector and the enterprise’s current woes, we leave on a lighter note. Clearly, for Patson, customer service is never too far from his mind. 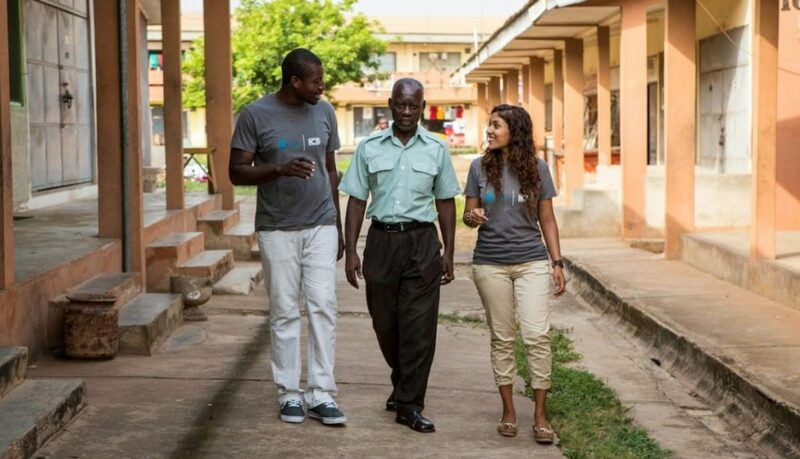 How Does International Development Through Enterprise Work? Challenges Worldwide work with other expert development agencies to deliver the International Citizen Service (ICS) programme. ICS is a development programme that brings together young people from the UK and developing countries to volunteer in some of the poorest communities in Africa, Asia, and Latin America. It is led by VSO and funded by the UK Government. Challenges Worldwide want to see an end to communities around the world living in poverty! We work with small and medium-sized businesses to help them seek out new opportunities to grow. We support the businesses to grow sustainably and embed fair practice. Ensuring an enterprise has a positive impact on their community and the wider economy. We have seen that a decent living can empower communities to tackle many of the challenges they are facing. Challenges such as getting access to clean water and energy. Ensuring that there is a decent education and healthcare system. Most importantly protection working communities from climate change. At the core of all of these issues run the theme of inequality: women and marginalised people left out of the job market, workers being exploited by their employers and governments not implementing policies that protect their people from these issues. To mark Global Entrepreneur Week 2016, we will explore how Challenges Worldwide’s work through the ICS programme is empowering enterprises to support their communities to face these issues head on and create positive change. How do Challenges Worldwide ensure people can earn a decent living? Building a strong economy is the most effective and sustainable way to address poverty. As a Challenges Worldwide volunteer, you will help grow small to medium-sized businesses, producing everything from organic honey to eco-friendly stoves. But your work doesn’t stop there. By helping these businesses succeed, you also help those around them – the farmers who can be trained up to produce honey themselves, the local women’s groups who can sell the stoves and fuel to their local community. Challenges help create employment and income for local individuals – the first step to making communities less reliant on aid. Currently, ASC has many social impacts. The most significant are the beehive project that ASC have implemented across Zambia in collaboration with Bee Sweet honey. They designed an improved beehive which is easier to assemble and cheaper to produce. They supply the beehive to small hold farmers across Zambia, they then buy the honey from the farmers at a competitive price. This supplies over 12,000 farmers with jobs and promotes environmental stewardship as honey production prevents deforestation, a huge problem in Zambia. How does Challenges Worldwide provide a good education? Challenges believe that no-one should be excluded from school as a result of poverty or gender. We also believe that the creation of long-term employment opportunities is the best option since it helps parents avoid the difficult decisions about which child, if any, they can afford to send to school. Supporting women-led businesses also provides vital role models for young girls and helps to break down the social barriers to female education and employment. (clean energy provider dealing in sourcing, supplying and installation of solar systems, solar water heaters, power backup systems and generators) produces has impacted on the community through jobs creation. The company currently employs permanent workers and part-time workers. The company also offers training and internship programs to the youth. There are currently interns at the company, however, they hope to get more in the future. Has a strong positive impact in the local community. The company is small but provides apprenticeship schemes to local youth who are looking to expand their personal skillsets. He accommodates their education and only asks for them to come in to the company when it is outside off school hours. The owner is conscious about developing the education of local youth and would like to have a positive impact on their development. 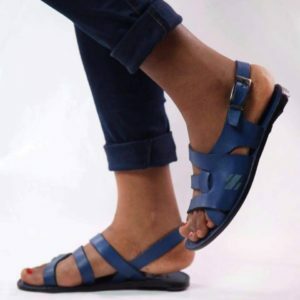 He has successfully trained two female apprentices who have since moved away from the company to make shoes on their own. The owner enjoys helping others to succeed and wants to promote ideals such as equal opportunities, gender equality, education, and a positive working ethic. By providing internationally accredited training as the backbone of our programme, we are proactively increasing the skill set of local young people who may not have been able to afford university. Of the volunteers that go on to complete their CMI qualification, approx. 50% of completers are from Ghana, Uganda or Zambia. 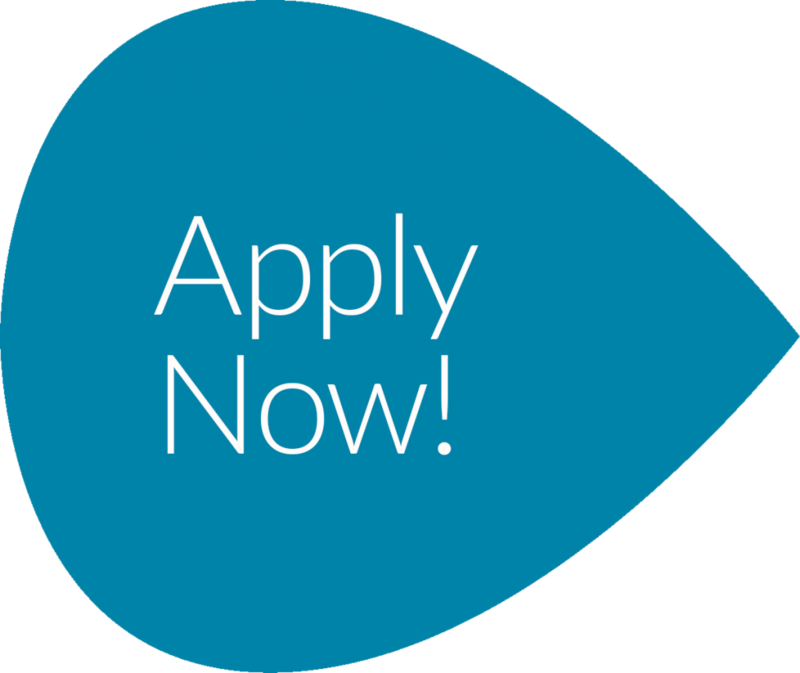 We also offer the opportunity for a select few volunteers to earn their CMI qualification by demonstrating their commitment to the programme and ‘going the extra mile’. 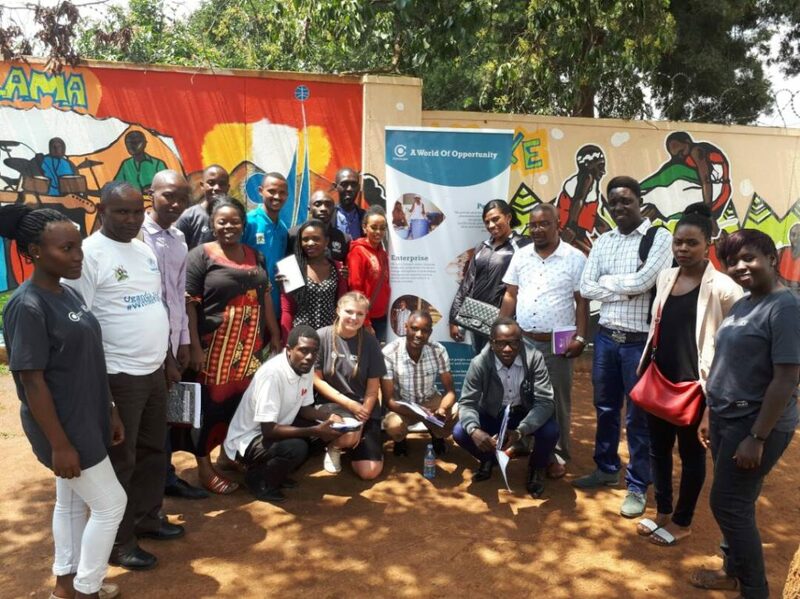 Recent studies have found that in Uganda only 15% of people receiving professional, work-based training are women, to date, 49% of Challenges Worldwide’s African volunteers were female, therefore we are having a tremendous impact on allowing young women to develop the skills that they need to excel in their careers. How does ICS ensure communities get the information and services they need to stay healthy? How does Challenges Worldwide ensure communities get the information and services they need to stay healthy? Poor health is fundamentally related to poverty. 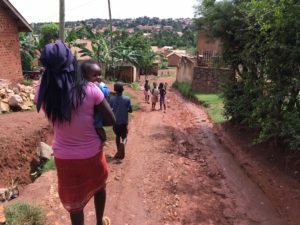 Low-income families are usually the ones with poor sanitation, poor understanding of the links between their environment and disease and insufficient means to afford clinic fees when their children get sick. Providing toilets or putting in standpipes are helpful – but creating jobs will help to lift these families out of poverty – creating the environment where families can afford their own facilities, afford the school fees which will improve their understanding of health issues and give them the means to afford treatment when they are sick. Challenges also supports many health-related businesses such as ones that are trying to improve nutrition and make good food affordable for all. SafeBoda interviews potential drivers. Those who are successful are provided with customer service and health & safety training together with safety equipment. Customers are then able to access this pool of specially trained drivers through multiple distribution channels (Via Street/Stage, Mobile App, Tollfree line). The CEO of Yako Honey is very passionate about health and well-being, so he really believes in his business’ product, which is fresh honey locally produced in Kitwe. Yaku honey is organic and contains no added sugar. He wants to educate people on the many health benefits of honey and encourage nutrition in households all around the world. In addition to this, the CEO wants his honey to be affordable to all households, allowing them to purchase this nutrition. Yako Honey employs local youths, as well as having various sales agents within local universities and colleges. 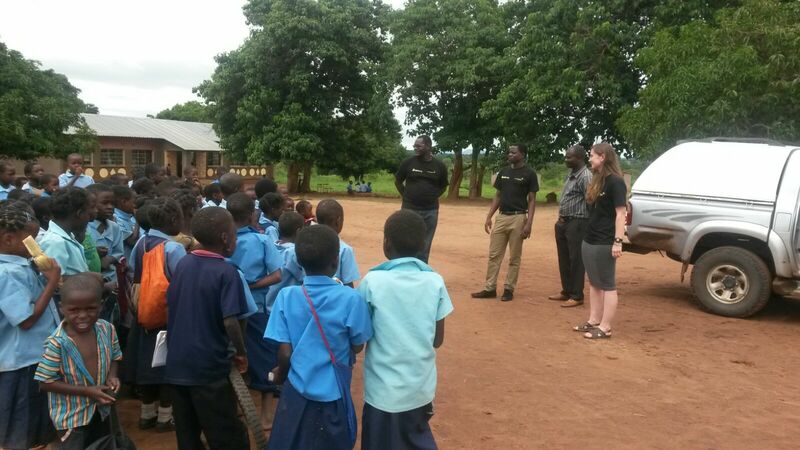 This promotes empowerment among young people, as well as community development in the local communities of Kitwe. How does ICS ensure that people live in a fairer world? How does Challenges Worldwide ensure a fairer world? Much of the aid that is directed to developing countries would not be needed if fair trade practices were in place. Companies in many countries are restricted from growth because of barriers and tariffs that protect western economies. Challenges are trying to turn this around by supporting the growth of African companies in way that will help them to compete in this unfair world. Many of the companies that we work with are now exporting goods to fair trade groups in the UK. We want to increase this to the extent that we can turn around current trading practices. We are also deliberately supporting women-led businesses to help improve women’s economic standing within society and help them to become the decision makers of the future. 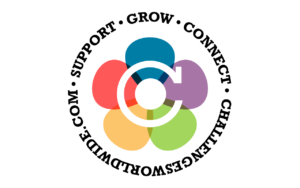 Owned and operated by a group of women in Uganda: working with Edith on compiling and submitting the monthly reports to Challenges Marketplace, and also recording finances, sales, orders and purchases in books. Edith has taken this learning on board and is becoming more confident in allowing others to use these records and fill in information. We have encouraged her to also train other women in using Marketplace after our departure. This guarantees the continual, sustainable growth over the long term. How does ICS protect the environment? How does Challenges Worldwide protect the environment? Climate change is happening and will affect the poorest in developing countries precisely because they are poor. Families cannot afford drought-resistant crops or protect their homes against floods and hurricanes without a stable income. All the current thinking centres on improving resilience to climate change by decreasing poverty and helping people afford the means to put measures in place. Creating sustainable and long-term employment is crucial to helping the most vulnerable people cope with climate change. Challenges also work in a very practical way to mitigate climate change by supporting the growth of renewable energy businesses – particularly those that are promoting the use of fuel-efficient stoves. These stoves help to reduce deforestation and also reduce levels of carbon in the atmosphere. Sells efficient wood-chip burning stoves as opposed to charcoal burning stoves. Deforestation is a huge issue in Zambia, with over 250,000 hectares of forest cleared every year – a significant proportion of this to create charcoal for fuel. In 2014 Vitalite impacted over 3,000 households and 15,000 people, this was before the introduction of their pay as you go system which has increased their reach even further and has huge potential. The largest company of this kind, M-KOPA in Kenya, has connected 400,000 homes to affordable solar power –demonstrating the huge potential of this kind of intervention. 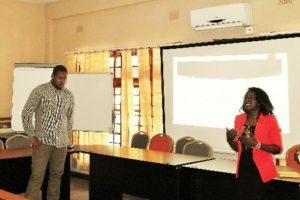 Based in Kitwe, Northern Zambia, Rainlands have developed Project Optima alongside Challenges Worldwide ICS volunteers. The project aims to curb charcoal use by producing cleaner, safer wood chip stoves. These stoves consume less wood than charcoal alternatives. The project provides women with the tools to sell stoves and wood chip fuel in their local communities. 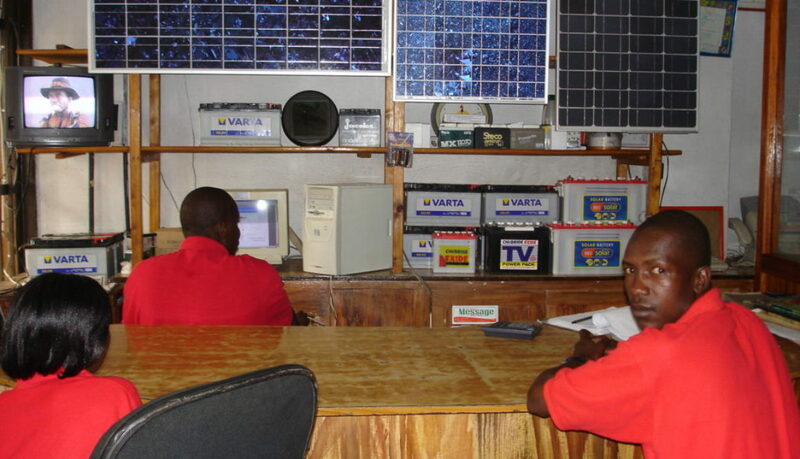 Translight Solar are developing innovative products and payment systems to make solar systems much more affordable, enabling a far higher number of people to gain access to a clean, cheap and reliable source of energy. Having a more reliable source of energy will also boost productivity and ultimately economic growth, raising everyone’s standard of living. There is a whole host of ways that businesses can help tackle global development issues. The key is empowering local businesses to work collaboratively with their employees, suppliers, customers and policy makers to ensure that businesses serve their community.  Challenges are currently working to link impact investors and venture philanthropists to companies like those we have introduced in this article through the new Challengesmarketplace enterprise reporting platform. 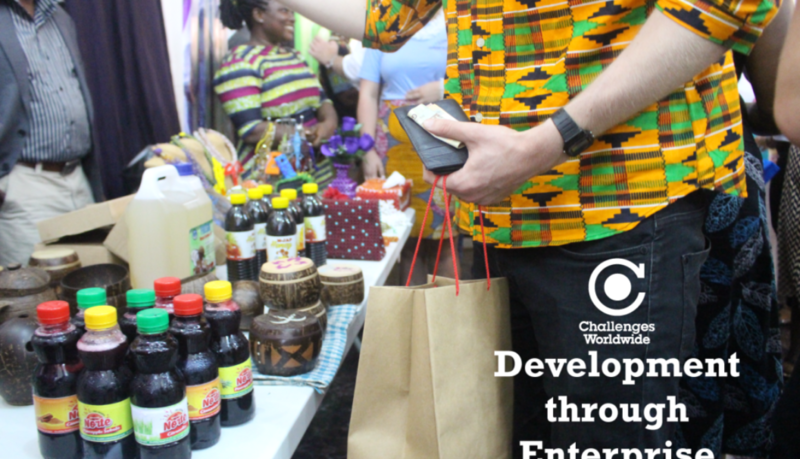 Through Challenges Marketplace we plan to make trade and investment deals quicker, cheaper and more transparent, ensuring that funding goes directly to the businesses that have a huge potential to accelerate socio-economic development for the communities that they trade in. If you would like to see for yourself how development through enterprise works, you can take part in the Challenges Worldwide ICS programme in 2017. Apply today to help make a difference to businesses and communities across Africa.